Big Kenny [Alphin] and John Rich began performing together in 1998. It took them six years to achieve commercial success, but 2004's 'Horse Of A Different Color,' in addition to going multi-platinum, gave them four country music hits including Save A Horse (Ride A Cowboy) [#11]. Their next studio album, 'Comin' To Your City,' yielded three more chart singles including 8th Of November [#18 Country; #94 Pop]. The third studio album, 2007's 'Between Raising Hell And Amazing Grace,' gave them their first Country #1, Lost In This Moment. The story of 8th of November is that of the Army's 173rd Airborne Brigade, the first major ground combat unit to arrive in Vietnam. According the brigade's history, on November 8, 1965 it took part in Operation Hump, an action against the enemy north east of Saigon. Ambushed by some 1,200 Viet Cong, the men of the 173rd took heavy casualties, including 48 killed. One of the wounded soldiers was Niles Harris, a man who would later recount the battle to Big Kenny. Harris' life was saved in '65 by a black medic, Lawrence Joel. For saving Harris and other wounded soldiers, Joel received the Congressional Medal of Honor. His citation, in part, reads that "after being struck a second time and with a bullet lodged in his thigh, he [Joel] dragged himself over the battlefield and succeeded in treating 13 more men before his medical supplies ran out." It went on to say that Joel's "meticulous attention to duty saved a large number of lives and his unselfish, daring example under most adverse conditions was an inspiration to all." 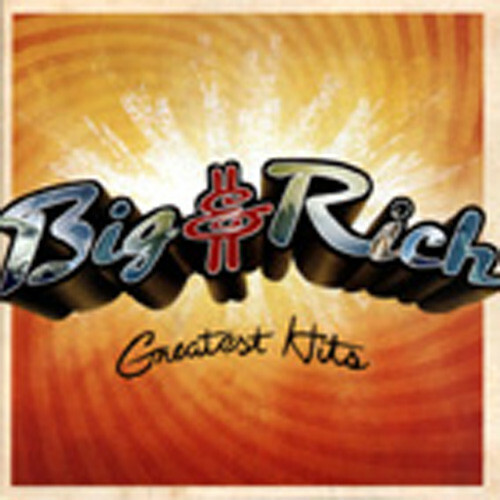 Though basically a country duo, Big & Rich have collaborated and worked with many other artists. These include Martina McBride, Gretchen Wilson and Cowboy Troy. They have individually or collectively written #1 hits for Faith Hill [Mississippi Girl] and for Tim McGraw [Last Dollar (Fly Away)]. They contributed a cover of John Lennon's Nobody Told Me for 'Instant Karma: The Amnesty International Campaign to Save Darfur' album and in 2008 found themselves mentioned in a Doonesbury comic strip. Gary Trudeau had the promoter for a Republican rally try and hire musical entertainment with only partial success. "I managed to book John Rich, from the band Big & Rich. Unfortunately, his partner is supporting Obama."